Has the era of genetic oncology arrived? 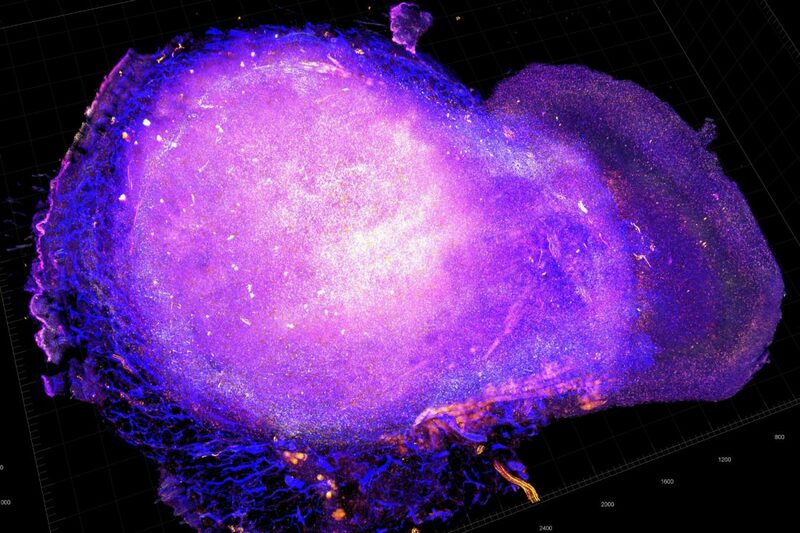 Last week, the biomedical world took a notable step in that direction when the FDA said Merck’s drug pembrolizumab (Keytruda), already one of the world’s most successful cancer immunotherapies, could now treat any tumor with a particular genetic fingerprint. It was the first time a drug has been approved strictly for a genotype—a tumor’s genetic profile—regardless of the organ or body part where the tumor is growing. But the commercial tests used to decipher cancer’s genetic fingerprints are still an elite tool, often reserved for clinical studies and major cancer centers, and are only grudgingly reimbursed by insurers for rank-and-file patients. And when the tests are employed, they often raise more questions than answers—especially for doctors who don’t have the resources of cancer centers like New York’s Memorial Sloan Kettering Cancer Center, Boston’s Dana-Farber Cancer Institute, or Princess Margaret Cancer Centre in Toronto. Edmund Tai, who treats people with blood cancers at the Palo Alto Medical Foundation in Mountain View, CA, referred to a “knowledge gap” in a recent talk at a precision medicine conference. “Not everyone goes to ASCO”—the annual American Society for Clinical Oncology meeting taking place this weekend—“or reads the literature as soon as it comes out,” said Tai. There are efforts underway to help so-called community doctors grapple with cutting-edge genetic testing of tumors. One is using the entire state of Maine, which has America’s oldest average population. Its 1.3 million people are spread out over some 35,000 often extremely remote square miles. Mainers get 9,000 new cancer diagnoses a year, with fewer than 100 oncologists in the state to treat them. The Maine Cancer Genome Initiative, which is run by the private nonprofit Jackson Laboratory in Bar Harbor, ME, aims to provide up to 1,800 free sequencing tests over the next three or four years, turning the raw DNA data into a report for the participating doctors. It has an $8.5 million philanthropic gift to get started. Along with the free DNA tests, the initiative will provide doctors layers of education and training, some of it to help with basic questions: Which patients are right for these tests? What’s supposed to happen when you send a test to the lab? To give doctors the same feedback and support that big medical centers provide, the initiative is also creating a virtual statewide “tumor board”—regular sessions to discuss puzzling cases with colleagues and specialists. “We want to pioneer community genomic medicine,” says Edison Liu, president and CEO of the sprawling, 88-year-old Jackson Lab—also known as JAX. Commercial sequencing tests, sold by companies like Foundation Medicine (NASDAQ: FMI), Guardant Health, and others, are meant to guide doctors who are making treatment decisions for patients already diagnosed with cancer—for example, when a cancer once in remission has returned. But the test reports are often more complicated than a simple recommendation of one drug or another. “There are a lot of data, and it’s hard to know what to do with the results,” says Julia Moukharskaya, an oncologist at MaineGeneral Medical Center, which is in Augusta, one of Maine’s more populous regions, but also has rural clinics for patients who aren’t able to travel. Rueter says JAX won’t advocate for testing for testing’s sake. “Is knowing more actually better?” Rueter asks. Put another way: It seems that knowing the genomic pattern of a patient’s tumor is a good thing. But does every cancer patient need sequencing? You can’t answer that question without easier access to testing, which is why the Maine initiative offers it free of charge. Better answers will also require much more data than what Maine can provide, says oncologist Kevin Knopf. Knopf has left his practice at Sutter Health in San Francisco to focus more on Cancer Commons, a nonprofit online service to help community doctors decode tumor DNA test results. “To help all patients we think an open-source database has the most utility,” says Knopf. Instead of current tests that list a patient’s mutations and potential drugs to use, a report should rank therapies the way online travel sites rank best options. There are other reasons to make community doctors more sequencing-savvy. One big reason is uncertainty. Genetic testing is in its infancy. Despite occasional cures that come after the sequencing of a desperate patient’s tumor DNA—what Dana-Farber’s chief scientific officer Barrett Rollins described in late 2015 as “Lazarus cases”—there is no rock-solid evidence that sequencing people’s tumors leads to better outcomes. At the time, a consortium of seven cancer centers including Dana-Farber announced a cancer-data consortium called GENIE; in pooling their data, Rollins hoped one of their first efforts would study this problem. Nothing so ambitious has begun, says a spokeswoman for the American Association for Cancer Research, but the pooled data have spawned several narrower studies examining outcomes. And this study, unrelated to GENIE, lent momentum to the idea that sequencing patients improves their chances of survival, but it was not a randomized trial. Adding to the uncertainty is a growing realization that the two main tests—Guardant360 from Guardant Health and FoundationOne from Foundation Medicine—sometimes provide conflicting or overlapping results from the same patient. The evidence has so far come from small sample sizes. The most recent (and smallest sample) was a nine-patient study published last December in the Journal of the American Medical Association. Of the nine patients in the study, one showed no genetic mutations with either test. The other eight had 45 mutations; only 10 of the mutations (or 22 percent) were identified by both tests. For those eight patients, only nine of 36 recommended drugs showed up on both reports. When both tests identified the same mutations in a patient, the recommended drugs were a tighter but not perfect fit: eight of 13 drugs came up on both reports. Doctors are eager for more light on the subject. “This genomic discrepancy is certainly a clinical challenge that needs to be solved,” said Joshua Schiffman, a pediatric oncologist at the University of Utah. The hesitation to rely on the tests is clear from Foundation’s financial numbers. Its revenues from selling tests to practitioners fell last year to $38 million, a 22 percent drop from $49 million in 2015. Foundation received more cash last year from its majority owner Roche, which bought a nearly 60 percent stake in Foundation in 2015 and pays Foundation for R&D and other costs. Its founding CEO Michael Pellini shifted roles earlier this year, with a Roche executive taking over as CEO. Guardant is privately held and does not report sales figures, but officials say they are processing about 20,000 tests a year. It recently raised $360 million, bringing its total to $550 million.